Some seniors can have a hard time accepting the concept that they need a Safety Monitoring. Rather than get upset, it's important to understand their concerns. Many feel like this represents a loss of independence. Instead, explain how Safety Monitoring Systems actually allow seniors to be independent. By using these devices, constant monitoring from a nurse or other healthcare professional isn't as necessary. The way you present the conversation can go a long way toward making the senior comfortable. Try to let them know about the talk in advance, so they don't feel surprised or caught off guard. Also avoid an "intervention" setting with multiple people talking at the senior. It's important that they don't feel ambushed or ganged up on, as these emotions can lead to stubbornness and overly defensive behavior. As long as you present the idea as coming from love, caring and empathy for the senior, there should be no problem, and a new Safety Monitoring System can bring peace of mind to seniors and their family alike. Safety Monitoring Systems have proven themselves to be very helpful for caregivers, as they allow monitoring of the senior on a constant basis. The small device essentially functions as a safety net if nobody is around the senior. The senior presses one of these emergency buttons, and emergency responders and your family are quickly summoned. Obviously, these devices can be a lifesaver in the case of a heart attack, fall or stroke, allowing help to arrive as quickly as possible. While there's really no downside to using Safety Monitoring Systems, seniors can sometimes react negatively to the suggestion. The first step in this instance would be to clear up any kind of confusion about how the Safety Monitoring System actually works. There's no "Big Brother" spying on the senior or invading their privacy. Instead, present the system as a useful tool, much like a portable phone. Rather than trying to get to the phone and dialing 911 in case of an emergency, you're simply pressing a button that will allow help to arrive quickly. Estimates vary as to how many Americans are currently members of the "Sandwich Generation," individuals simultaneously caring for older adults while raising children. The Pew Research Center believes the total is about 1 out of every 8 Americans, while a recent survey by MetLife found the number to be nearly double that, at 25 percent. Whatever the current figure, both sources agree that the number of people put in this position is on the rise, as the baby boomer population is aging rapidly and will soon introduce a whole new class of senior citizens to the America. With this in mind, those caring for a loved one need to have a strategy that covers all aspects of the caregiving process. While financial and health strategies are obviously important, one that caregivers should not overlook is personal interaction. As the caregiving process begins, a number of topics must be broached with the parent that may cause some disagreements or strain. Some people may have a sparkling relationship with their parents, yet find themselves battling over decisions that they didn't expect. 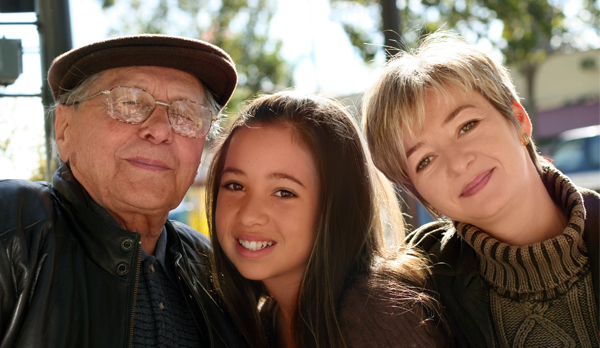 Don't wait for your parents to fall or have a health crisis to discuss their safety. One in three people over 65 will have a major fall each year, with that number increasing to one in two by the time a senior reaches 80. Seniors with Safety Monitoring Systems have fewer hospital admissions and shorter stays, meaning a better quality of life. 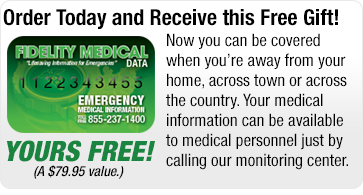 Sit down with your loved one and take our quiz to evaluate the need and urgency for a medical alarm. Take the Quiz.